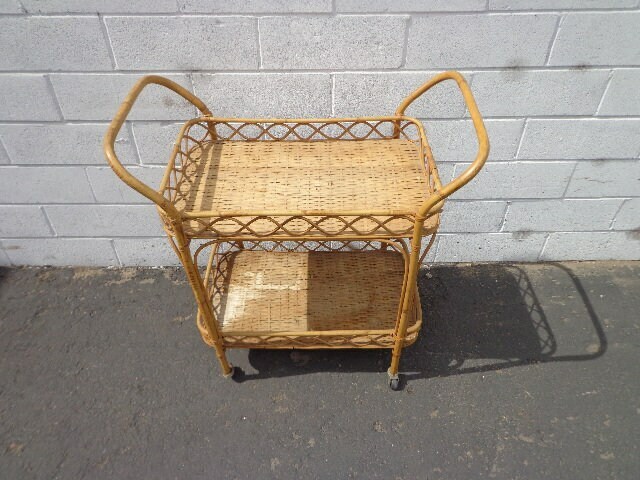 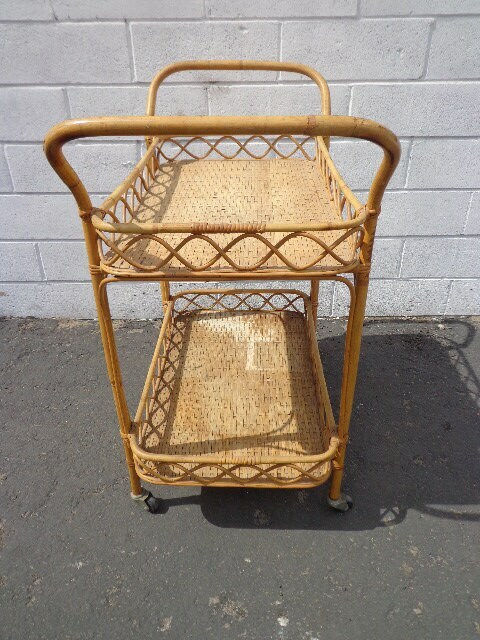 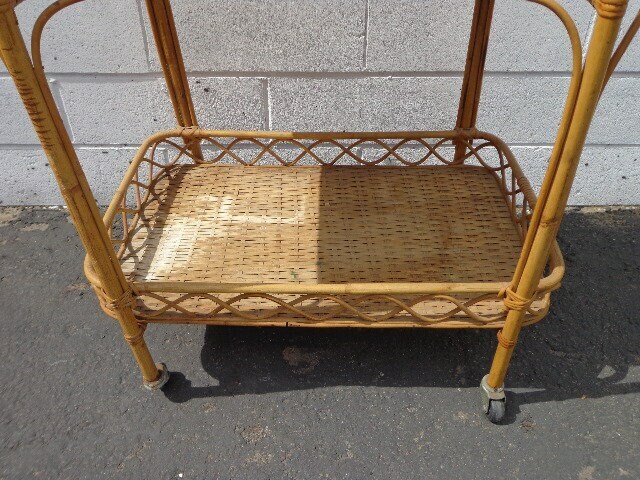 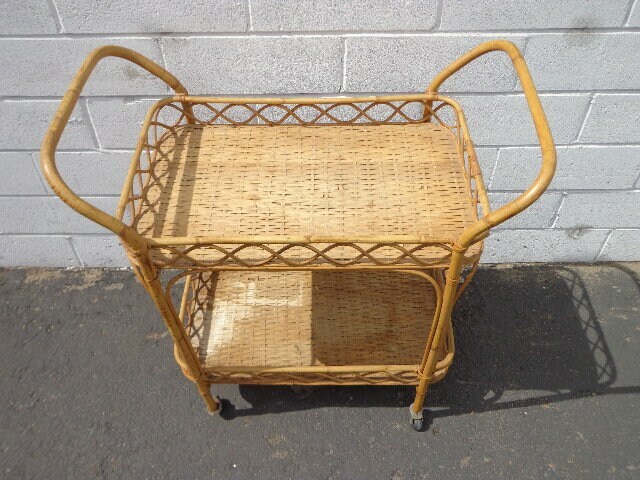 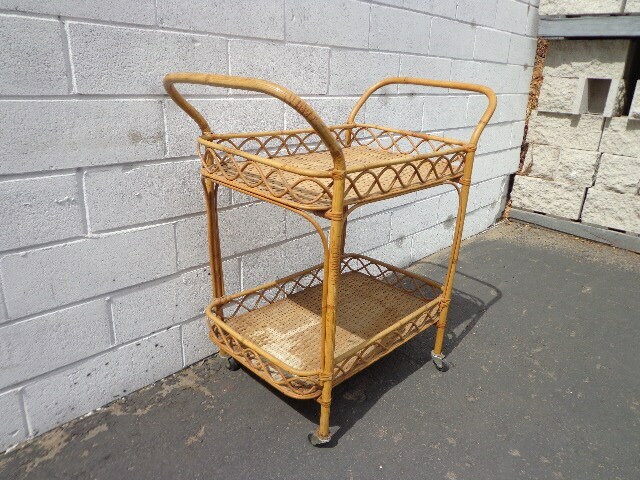 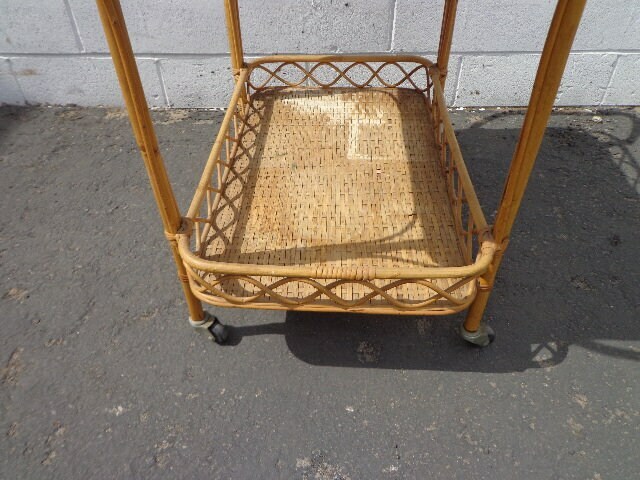 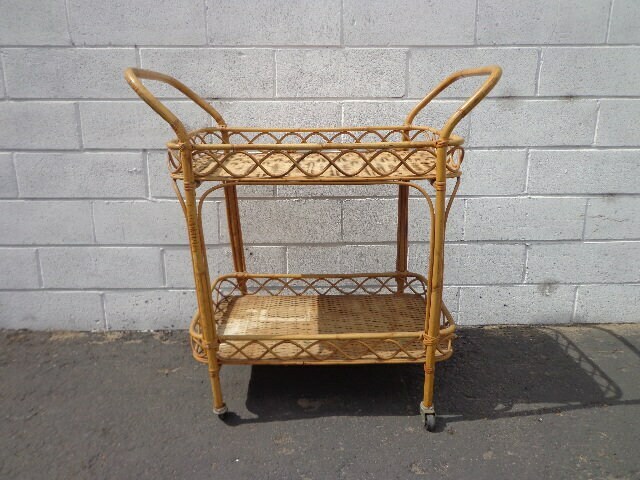 Rad One of Kind Rattan / Bamboo Bohemian Boho Chic Bar Cart. 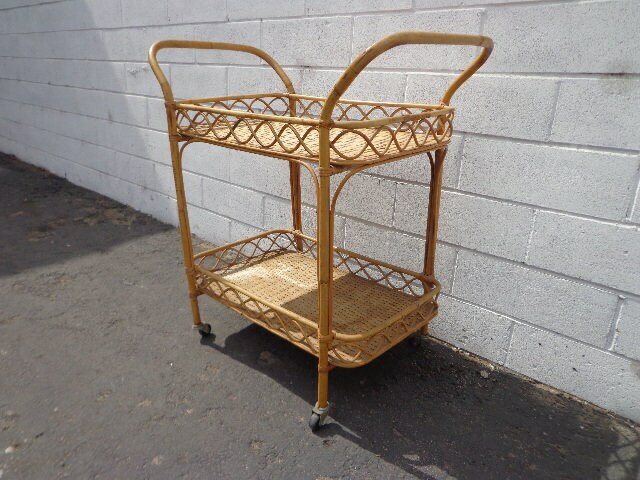 This is a unique piece with a convenient 2 tier design. 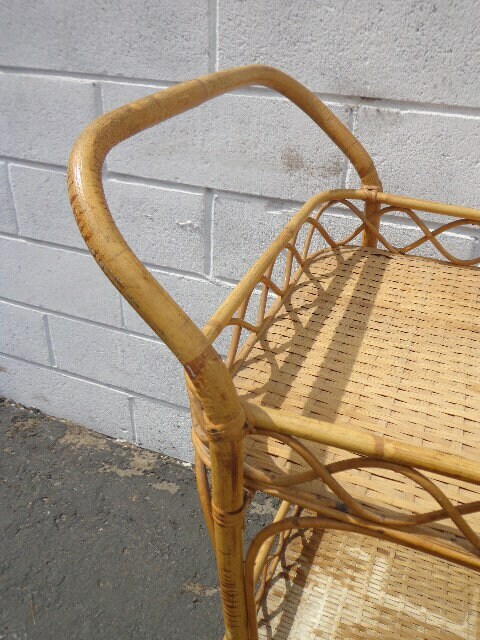 Perfect for the avid interior designer collector. 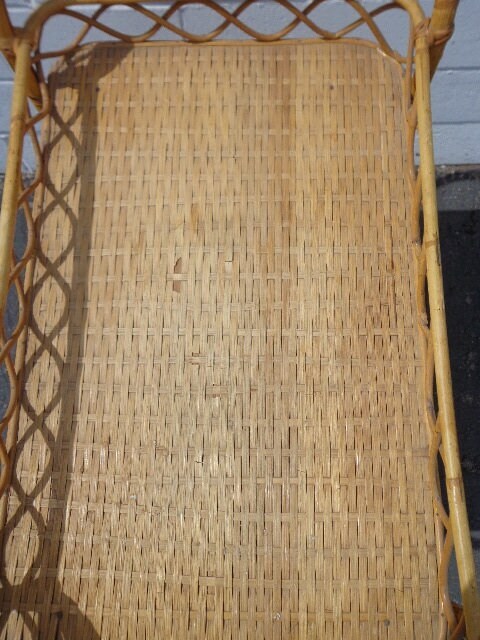 Dimensions: 32" x 17 1/2" x 33"